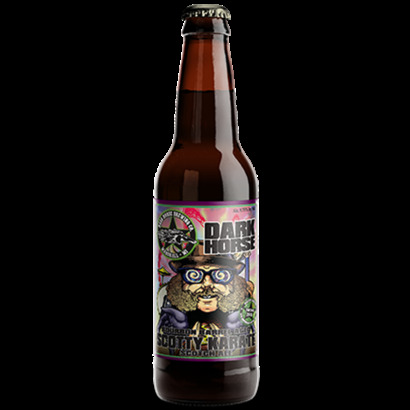 A scotch ale with cherry wood smoked malt instead of the traditional peat smoked malt. Aged in Bourbon barrels. 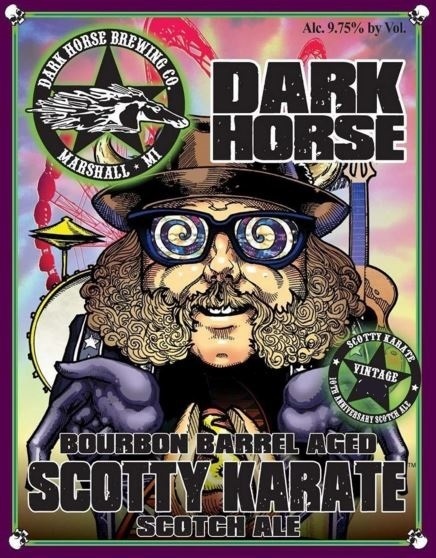 Dark Horse Scotty Karate Scotch Ale - Bourbon Barrel Aged If the original Scotty Karate wasn’t enough for you, check out what happens when they age it in bourbon barrels for a while. 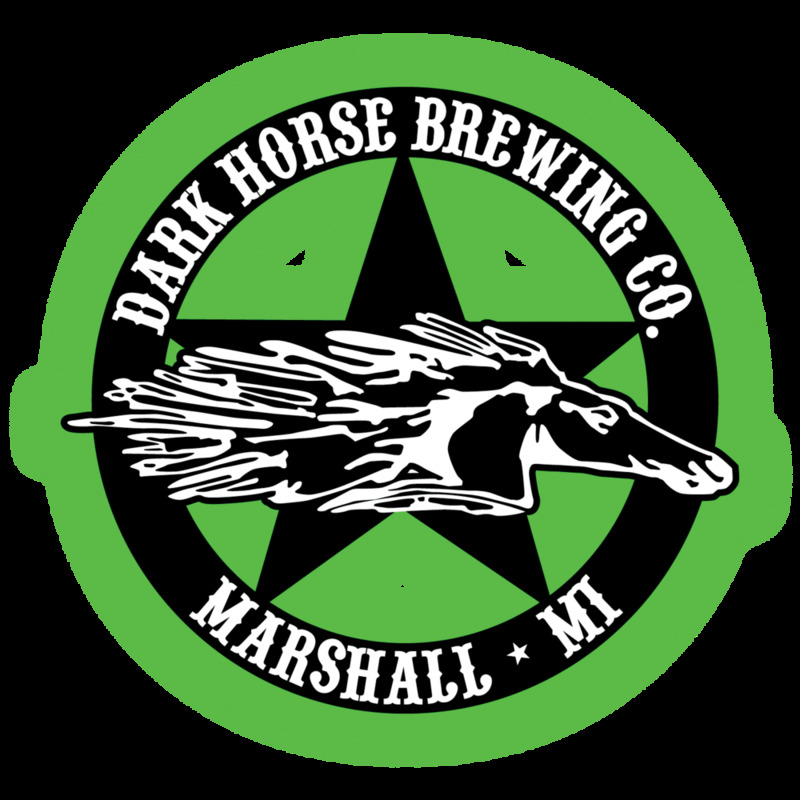 Dark Horse brewed this big bold scotch ale with cherry wood smoked malt instead of the traditional peat smoked malt offering up warm notes of coffee, caramel and sweet caramelized brown sugar. Then they age it in bourbon barrels for several months to pick up some mellow vanilla and oak notes to bring you a mature, quite refined Scotty Karate.